Dr. Dinesh Kumar Yadav M.D. (Internal Medicine), D.M. (Nephrology) is presently working as associate consultant in department of nephrology and kidney transplantation He has done his D.M. from IKDRC, B.J. 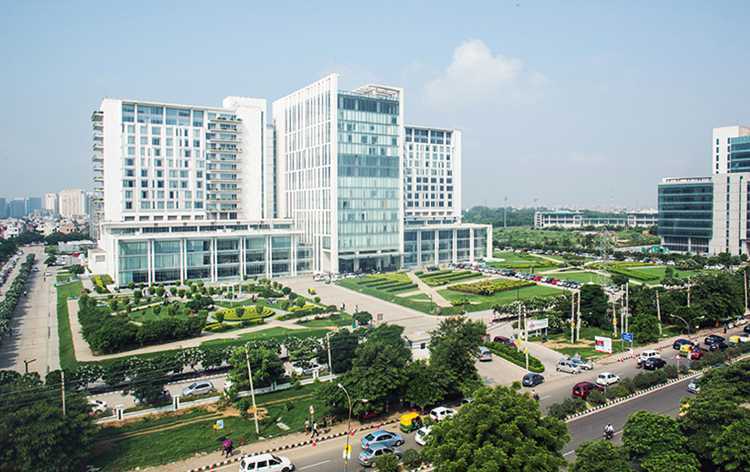 Medical college ,Ahmedabad , which is one of the largest kidney transplant centre in India. 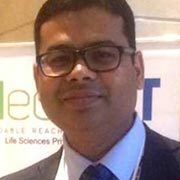 Dr. Yadav has special interest in field of kidney transplantation and has published many articles on kidney transplantation in national and international journals. Dr Manav Suryavanshi, a versatile surgeon has extensive experience with special focus on minimally invasive urological surgeries. 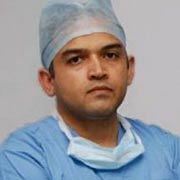 Mentored by many surgeons of national & international repute, he has to his credit about 450 robotic procedures & over 1000 laparoscopic urological surgeries.Dr Manav holds special interest in robotic management of kidney & urinary bladder cancers. He also specializes in neobladder reconstructions i.e construction of internal bladder from intestine in bladder cancer patients. Dr. N.P. Gupta is Chairman, Academics and Research Division Urology. After doing specialization in Urology, he joined All India Institute of Medical sciences (AIIMS) as faculty in 1979 and rose to the position of Professor and Head of Department (1998-2010). During his distinguished career of 40 years in the field of Urology, Dr Gupta contributed immensely to the growth of the sciences of Urology both at National and International Level. Dr.Pranaw Kr. Jha has completed his training in Nephrology from Manipal Hospital, Bangalore, a reputed institute for nephrology training in India.He has been mentored by leading experts in field of nephrology. His area of interest spans renal transplantation (especially ABO incompatible and paired kidney exchange renal transplants), hemodialysis, chronic kidney diseases and acute kidney injury. Dr Ghosh holds special interest in Uro-oncology including cancers of kidneys, bladder & prostate, with specializations in robotic & laparoscopic surgeries having worked with some renowned robotic surgeons since 2006. Dr Ghosh holds special interest in renal transplantation with experience in minimally invasive technique of graft retrieval and now robotically assisted recipient surgery. 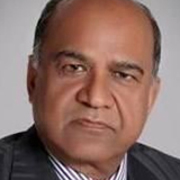 Dr. Ahlawat to his credit has the unique feat of establishing four successful Urology and Renal Transplant programs in India, at Sanjay Gandhi Postgraduate Institute of Medical Sciences, Lucknow, Indraprastha Apollo Hospital, New Delhi, Fortis Hospitals, New Delhi, and Medanta, the Medicity in New Delhi. His publications and presentations at national and international forums have focused on minimally invasive Urology. Dr. Rajiv Yadav specializes in urologic oncology and robotic surgery. He has done advanced Fellowship training in robotic urologic oncology and prostate cancer outcome research at the Weill Medical College of Cornell University and New York Presbyterian Hospital, New York, USAPrior to this fellowship, he completed his surgical training in general surgery and urology at All India Institute of Medical Sciences, New Delhi and 'Endourology Fellowship' in minimally invasive urologic and laparoscopic surgery at AIIMS, New Delhi. Dr. Rakesh Khera is the Associate Director of Urologic Cancer Surgery (Urologic Oncology) at Medanta - The Medicity. He brings in expertise from one of the top urological cancer centres in the world - The Roswell Park Cancer Institute, New York, USA. He has a vast experience of having performed over 1000 robotic & laparoscopic surgeries for prostate, bladder and kidney cancer. Dr. Vijay Kher is currently Chairman, Division of Nephrology, Medanta Kidney & Urology Institute.  Dr Kher has established Academic & Clinical departments of Nephrology at Shere Kashmir, Institute of Medical Sciences in Srinagar, SGPGIMS Lucknow, Apollo Hospitals, New Delhi, Fortis group of hospitals NCR, Delhi & now at Medanta. His research interests are kidney transplantation (clinical immunosuppression, pre emptive kidney transplantation & steroid free immunosuppression, cost- containment), progression of renal disease, acute kidney injury and glomerulonephritis. An astute clinician, a teacher par excellence and a keen researcher Dr Kher combines these assets with a friendly and inclusive demeanor to inspire the Nephrology fraternity in India by his professional dedication, academic excellence and social responsibility.